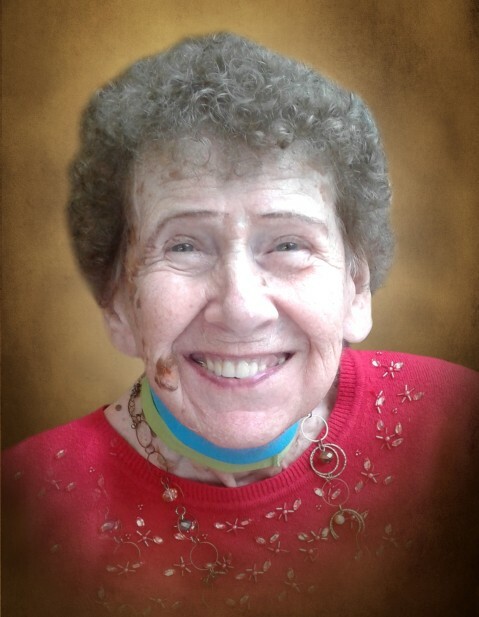 Dorothy T. Burzawa (nee Svetlecic), age 91, passed away peacefully on Wednesday, October 31, 2018 at Presence St. Joseph Medical Center with her loving family and friends by her side. Dorothy is survived by her son, Joseph (Sherry) Burzawa; grandchild, Holly Kristine Burzawa; sisters, Delores Spangler and Pauline Homerding and well as numerous nieces, nephews, and cousins. Preceded in death by her beloved husband, Joseph Burzawa Sr. (1982); parents, Anton and Theresa Svetlecic; sisters, Ann, Mary, Martha, Annette, Bernice; and brothers, Joseph, John, Frank, and Ray. Dorothy was born and raised in Joliet, IL. She enjoyed spending time with her granddaughter and watching her grow up. Dorothy also enjoyed getting together with her family for holidays, dinners, birthdays, and other special occasions. She had a great love of music, especially orchestra music, polka, and the golden oldies. Dorothy took joy in driving her car and working in her yard. She was very fond of animals, especially her family’s dog Zeus and her granddaughter’s bird Picasso. Dorothy was a proud member of “Sodality of Our Blessed Lady”. She will be missed by all who knew her. The Family would like to give a special thank you to Dorothy’s caregivers and friends, Elizabeth Bravo, Raechel Casarez, Betsy Sosa, Jasmine Flores, Barbara Williams, Bryanna Demoraes and Joseph Street. In lieu of flowers, donations may be made out to Rainbow Hospice. A celebration of Dorothy’s life will begin on Saturday, November 3, 2018 with chapel prayers at Tezak Funeral Home, 1211 Plainfield Road, Joliet at 9:20 a.m. then driving in procession to St. Jude Catholic Church in Joliet for a Mass of Christian Burial to be held at 10:15 a.m. Interment to follow at Resurrection Cemetery in Romeoville, IL. Visitation will be on Friday, November 2, 2018 at Tezak Funeral Home, 1211 Plainfield Road, Joliet from 4:00 p.m. to 8:00 p.m.